Our location is perfect! Close to all the action, but on a quiet residential tree lined street with plenty of Mount atmosphere. Shop or Surf - everything is at your fingertips. The apartment is fully self contained, with its own private entrance. We live on the second story. The large back yard, laundry and clothesline are shared. We are respectful of your preferences for privacy or social interaction and will only interact with you at your request. Baxter our fluffy family dog [in training for hospital visits] is also very mindful of your desired level of interaction. All linen is commercially laundered for hygiene standards. Rates may vary on public andamp; school holidays and over special events. Check in time from 3pm. Check out by 10am. Booked this place for my parents for a weekend away and they loved it. All the comforts of home, REALY friendly hosts and great location. They would def recomend!! Enjoyed our stay here. Very comfortable and one street away from the beach. The hosts live upstairs and are friendly. Wifi is available as well as Sky. Easy to self check in and out. 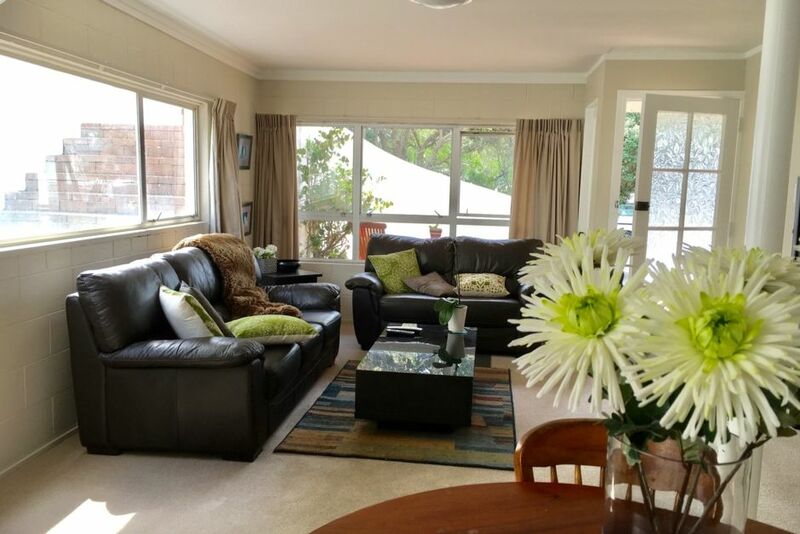 Great space, well equipped and perfectly situated to enjoy all aspects of the Mount. Loved my stay! Thank you! Great apartment to stay at with everything needed. Apartment was in great condition and the shared outside area at the back was very nice. Superb location only a couple of minutes walk to the beach and shops. Interaction with Alec, the host, was also very friendly. Great place to stay for a couple. Thanks for your feedback on our property. We are delighted that you found the apartment comfortable with all the amenities you needed. Glad you enjoyed the location and found it a short walk everywhere you needed to go.